Garlic must be in season because I’ve been seeing a lot of it lately. 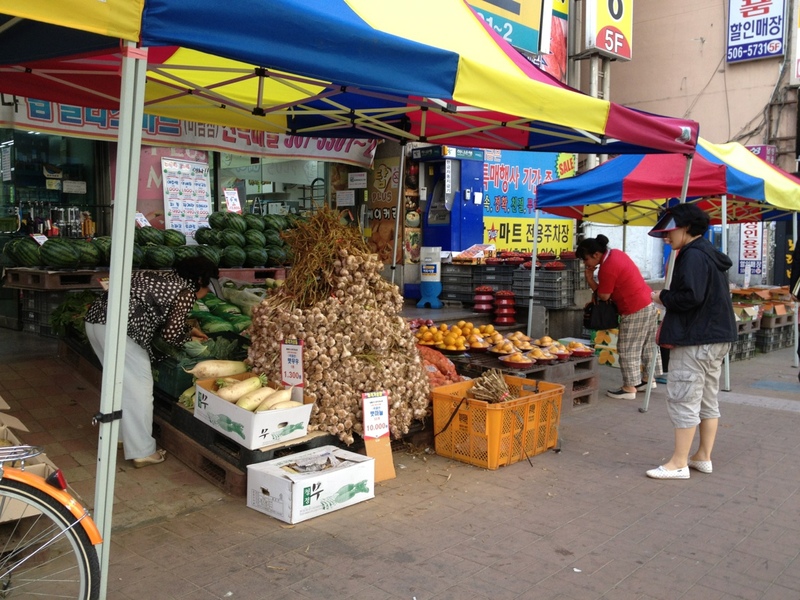 I’ve been told that Korea is the largest consumer of garlic (based on population). Usually when you buy it it’s pre peeled, but my local grocery store was selling it freshly picked, stalks still attached. This entry was posted in A year in photos, About Korea, Korean Food by Meagan & Dave | HappilyEverExpat.com. Bookmark the permalink.